Abstract: We present a comparison between AV1, HEVC and JEM. It reveals that professionally optimized AV1 encoding software is about 32 times as complex as the HEVC encoder software HM. Given the wide attention that AV1 receives and the plans of Google and Facebook to actually use AV1 in commercial environments, the complexity constraints endured during the HEVC development seem to disappear. We present recent results on contour-based prediction for intra coding, a KLT depending on scene and intra prediction direction for coding the prediction error and texture synthesis to replace conventional texture coding for uniform parts of images. Especially contour-based prediction and texture synthesis depend heavily on computer vision algorithms. While typically failures of efficient prediction can be compensated by coding the prediction error and hence a higher data rate, texture synthesis in video coding does not have this safety leash. Bio: Jörn Ostermann studied Electrical Engineering and Communications Engineering at the University of Hannover and Imperial College London, respectively. He received Dipl.-Ing. and Dr.-Ing. from the University of Hannover in 1988 and 1994, respectively. From 1988 till 1994, he worked as a Research Assistant at the Institut für Theoretische Nachrichtentechnik conducting research in low bit-rate and object-based analysis-synthesis video coding. In 1994 and 1995 he worked in the Visual Communications Research Department at AT&T Bell Labs on video coding. He was a member of Image Processing and Technology Research within AT&T Labs – Research from 1996 to 2003. 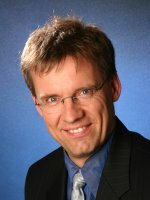 Since 2003 he is Full Professor and Head of the Institut für Informationsverarbeitung at Leibniz Universität Hannover, Germany. Since 2008, he is the Chair of the Requirements Group of MPEG (ISO/IEC JTC1 SC29 WG11). Jörn was a scholar of the German National Foundation. In 1998, he received the AT&T Standards Recognition Award and the ISO award. He is a Fellow of the IEEE (class of 2005). Joern served as a Distinguished Lecturer of the IEEE CAS Society (2002/2003). He published more than 100 research papers and book chapters. He is coauthor of a graduate level text book on video communications. He holds more than 30 patents.